For the last four years I have been writing a bi-annual column for Nikon World Magazine entitled Workshop. Sadly, Nikon World Magazine is no more, but the editorial content for the Fall 2013 issue was already in the can so to speak. Hence, instead of appearing in Nikon World, my last Workshop column has been moved online to the Nikon USA Learn and Explore website. 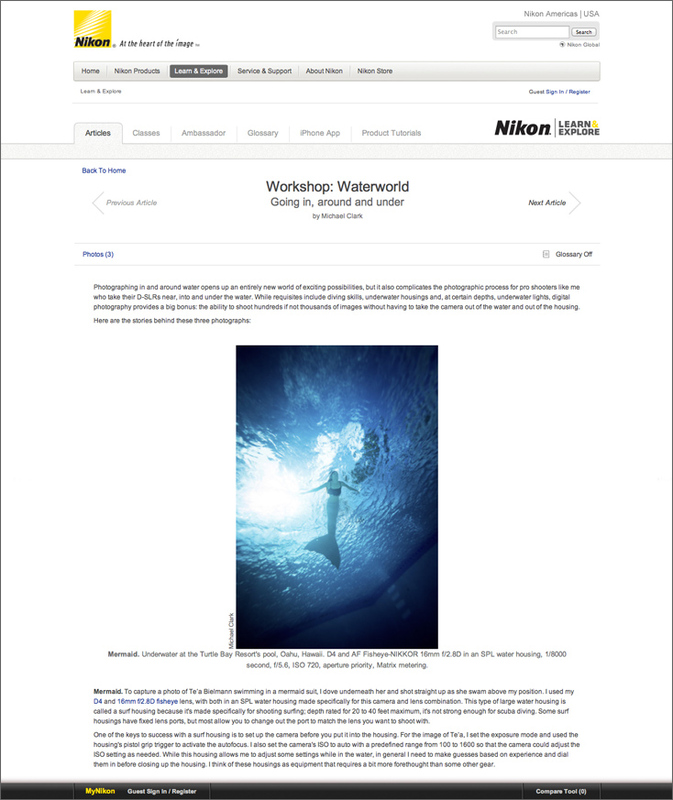 This article, entitled Workshop: Waterworld, details the ins and outs of underwater photography with a variety of gear. My thanks to Nikon for running this Workshop article on their website and for a great four-year run working with Nikon World Magazine.